Back in March, I posted about a fabulous little movie that was being filmed. 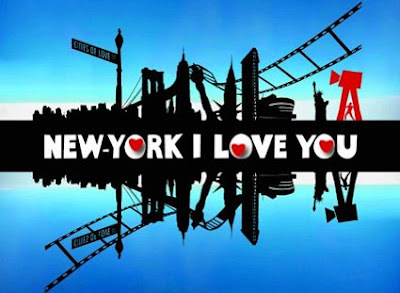 New York, I Love You follows the same premise as Paris, Je t'aime, which I totally loved. The trailer for the New York version was recently released. I can't wait to see this! I am so excited for this movie as well - thanks for the clip! I can't wait... this looks like FUN! Loved Je t'aime Paris. I'm burrowing this trailer... thanks! I've just beening posting a lot about NYC so I will have to add this!